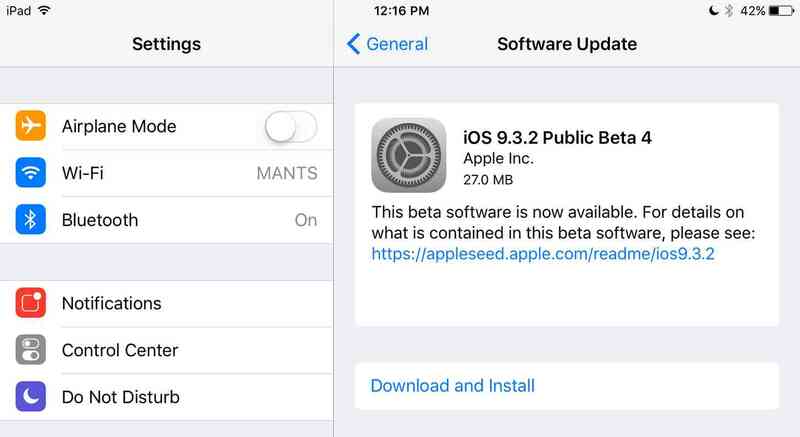 Today, Apple seeds the fourth beta of iOS 9.3.2 to developers and public beta testers, iOS 9.3.2 beta 4 (build 13F68) ipsw now available for download in the Apple’s developer page. If you’re a registered devloper or a member of the Apple Beta Software Program, you can get the update by going into Settings > General > Software Update on your device. iOS 9.3.2 also come with a new feature ‘Quick Actions’ which tends to stutter when opening in Landscape mode for may users using the current version of iOS 9.3. The feature now mo smooth when opening it in Landscape. iOS 9.3.2 beta 4 largely appears to be a bug-fixer, addressing issues like a Game Center bug that kicks some users to a plain white screen. One notable feature that the update adds is the ability to use Low Power Mode and Night Shift simultaneously, meaning that you can make your screen easier on your eyes at night while also conserving what little battery power you may have left. 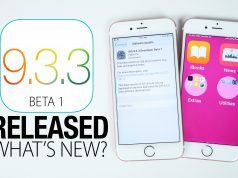 If you are neither a developer nor a publicly tester, then you can download iOS 9.3.2 beta 4 ipsw from this public link provided by third party. 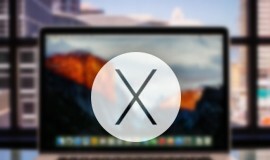 Then manually install the firmware using iTunes step by step.